Canine Hip Dysplasia - Hip dysplasia is an abnormal formation of the hip socket that, in its more severe form, can eventually cause crippling lameness and painful arthritis of the joints. It is a polygenic trait, that is affected by environmental factors in the production of the final phenotype. It can be found in many animals and occasionally in humans, but is most commonly associated with dogs, and is common in many dog breeds, particularly the larger breeds. Gastric Torsion - Gastric Torsion is a medical condition in which the stomach becomes overstretched by excessive gas content. It is also commonly referred to as bloat, gastric torsion, and gastric dilatation-volvulus (GDV) when the stomach is also twisted. Otitis Externa - Otitis externa is also known as "Swimmer's ear" is an inflammation of the outer ear and ear canal. Retinal Detachment - Retinal detachment is a disorder of the eye in which the retina peels away from its underlying layer of support tissue. Initial detachment may be localized, but without rapid treatment the entire retina may detach, leading to vision loss and blindness. Cataracts - Cataracts are opacities in the lens of the eye, which can cause blindness. Deafness - Deafness is the inability to hear in either one or both ears. Progressive Retinal Atrophy - Progressive Retinal Atrophy is a group of genetic diseases seen in certain breeds of dogs and, more rarely, cats. It is characterized by the bilateral degeneration of the retina, causing progressive vision loss culminating in blindness. The condition in nearly all breeds is inherited as an autosomal recessive trait, with the exception of the Siberian Husky and the Bullmastiff. There is no treatment. Cerebellar Ataxia - The term cerebellar ataxia is employed to indicate ataxia that is due to dysfunction of the cerebellum. Ataxia is a neurological sign and symptom that consists of gross lack of coordination of muscle movements. Hypothyroidisim - Hypothyroidism is a condition in which the thyroid gland does not make enough thyroid hormone. Early symptoms: Being more sensitive to cold; Constipation; Depression; Fatigue or feeling slowed down. 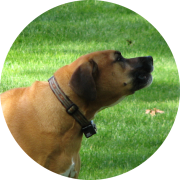 Logan Winters is a long time dog owner and horseman, provides content for for Dog Pound http://www.dog-pound.net and Horse Stall http://www.horse-stall.net leading portals for pet management.